Is Boeing’s Move to California Driven by Age Discrimination? Boeing is shifting jobs to California, which should be good news for workers. However, individuals living in California don’t want just any jobs- they want good, secure jobs with employers who treat them right and who do not engage in discriminatory behavior. Unfortunately, accusations are being made that suggest Boeing may be making the move to California because of age discrimination. Boeing may terminate many older employees with higher pay rates as a part of the move to a new state, replacing these seasoned workers with younger and cheaper individuals. 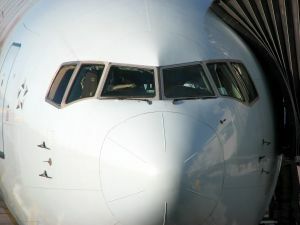 Employers who discriminate and terminate employees based on their age can face legal challenges, and the Puget Sound Business Journal indicates that the airliners actions may result in a lawsuit by the engineer’s union. An experienced Orange County employment law attorney can represent clients involved in age discrimination cases and other lawsuits and help them to pursue a claim for compensation. Is Boeing’s Move Driven by Age Discrimination? In April, Boeing announced that it was adding 1,000 engineering positions in the Southern California area. These new jobs would replace people from the Seattle-area Commercial Aviation Services Unit (CAS). The job of CAS is to support existing Boeing aircrafts. Existing workers in this unit are being laid off, but are being told that they are welcome to reapply to their old jobs and that Boeing might potentially help them move to California if they apply and are re-hired. The union has made similar accusations of age discrimination against Boeing before. In March, the union helped employees file charges with the Equal Opportunity Employment Commission (EEOC) against Spirit AeroSystems, Inc., which makes fuselages for the Boeing 737. SPEEA claimed that Boeing had terminated “hundreds” of employees over the course of 2013 as a result of those employees either being older or having a history of illnesses. The charges against Spirit were filed after conducting an analysis of 360 different people that were laid off. Based on employee records and other information obtained during the investigation, the union representative indicated that a scheme had been uncovered. The scheme involved using people’s sick-leave records in order to target those individuals for layoffs. SPEEA suspects that Boeing is engaged in a similar, albeit more sophisticated, scheme to make its workforce younger or cheaper. Boeing, however, denies any possibility of age discrimination and says “there is no merit to the union’s allegations.” Boeing’s long-terms strategic vision involves having multiple engineering centers for greater flexibility, and this is the reason Boeing cites for the move. It will be necessary to look carefully at the ages and backgrounds of the employees that Boeing chooses to rehire for the move to California in order to determine if the company is actually engaging in discriminatory behavior or if the company is acting with a legitimate intent to simply find new workers in the California area.